Samsung fridge freezers are renowned for reliable performance. And stylish design. With modern technology, you’ll be offered Cool Select Duo and SpaceMax options. And you’ll be able to choose from Multi-Door to American style models. Samsung fridge freezer temperature display wrong? If the main compartment in your fridge is too warm or too cold your food will suffer. Re-adjust the dial to the setting advised in your manual. The food compartment temperature should be between 0 to 5 degrees Celsius. And the freezer should read -17 to -15 degrees Celsius. If this fails there may be an issue with the compressor and condenser coils. If they’re dirty the fridge freezer won’t work efficiently. Faulty temperature control may also be the culprit. And may need to be replaced. The temperature switch might not be working properly. Or the seals along the door may be gapping and letting warm air in. switches and seals can easily be replaced. Samsung refrigerator fan motor not running? The evaporator fan motor draws cold air over the coils and circulates it around the freezer. If the fan motor doesn’t work properly the appliance won’t cool adequately. You can try carefully turning the blade by hand to see if the motor is defective. If the motor is making loud noises you may need to replace it. A more serious issue could be with the main board and a burnt resistor. This may need replacing by an expert. Samsung refrigerator coil freezing up? When warm air passes over the cold evaporator coils it condenses. And freezes. If this air is continually leaking into the freezer this will result in the coils quickly icing over. And the defrost cycle won’t be able to keep up. Samsung fridge not making ice? This could be due to ice build-up issues. Or with the water supply. If this isn’t the case, you’ll need to take a look at the ice maker control. The ice maker uses heat to release the ice. When the motor starts the cycle will then continue. Problems may lie with the ejector blades, shut-off arm or the fill valve. If the ice maker is receiving power and won’t perform a cycle the module will need to be replaced. A qualified engineer can test and replace this for you. 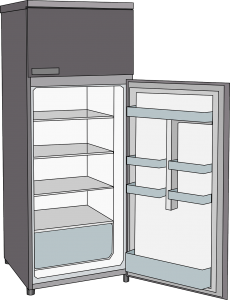 Need a Samsung Fridge Freezer Repair? Make a same-day booking when you urgently need a swift diagnosis. And get a quick and reliable fix. 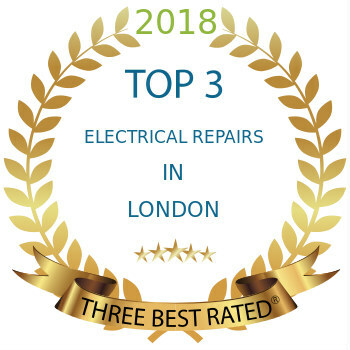 Trusted appliance repair engineers will have the skills and the equipment to carry out high-quality repairs. And you’ll get a six-month service guarantee. Your Samsung fridge freezer will soon be working again as new.